WooCommerce reviews are a great way to engage with your customers around your products. If you have an established e-commerce site that doesn’t have product reviews enabled, you might be surprised to find there is no way to bulk enable them out of the box. You can also choose other product review settings like enabling star ratings or whether a reviewer is required to have purchased the product before reviewing. I personally like these options. 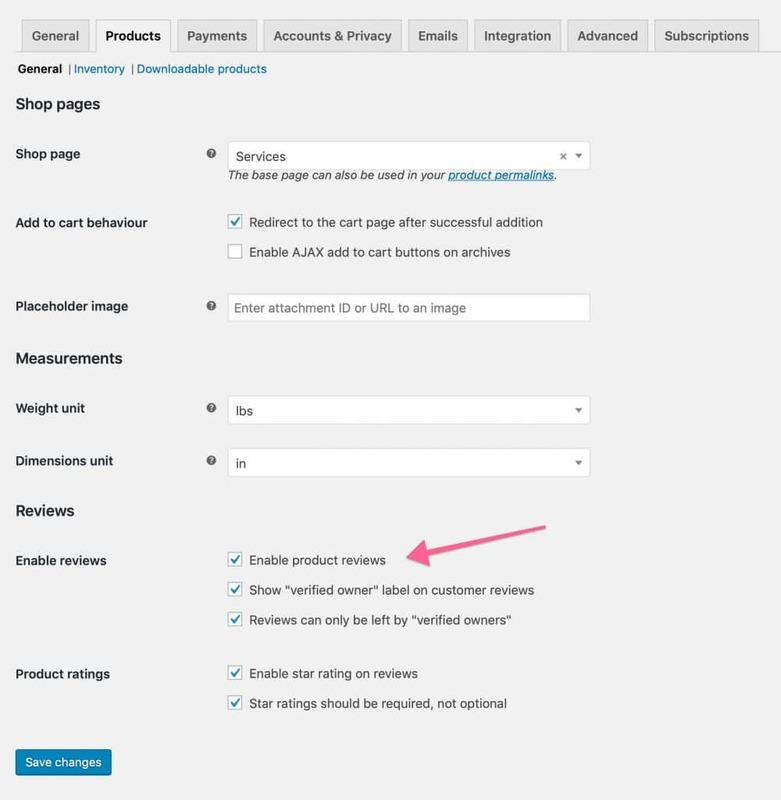 Once the global WooCommerce reviews have been enabled, you will need to enable reviews on a per product basis. Any product that was created before enabling reviews will be set to disabled. The bulk edit feature in WordPress is pretty great for changing things en masse on posts and products. I was surprised to find that there is no option for enabling reviews when bulk editing products. For e-commerce site owners with a lot of products this can be a problem. Save this code as a file, then zip it, then install as any new WordPress plugin. Remember that WordPress requires a plugin to be in zip format if you want to upload from the admin. You can also simply download the gist from Github as a zipped file. There you have it, easy bulk enabling of reviews. 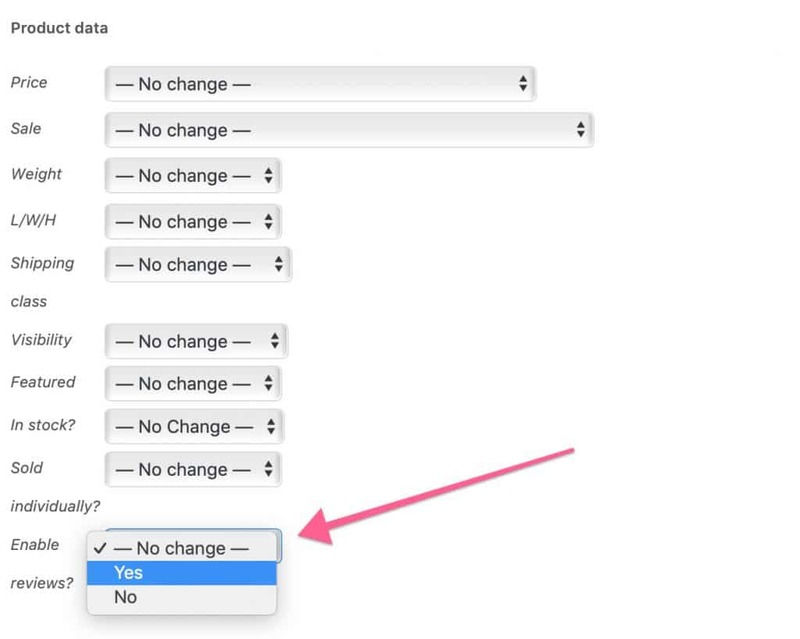 There are other ways to do it via phpMyAdmin, but I’ve found this to be much easier. Feel free to delete the plugin once you’re done. Leave any questions or comments below, leave a review on iTunes, and don’t forget to like and subscribe, it really helps the channel.